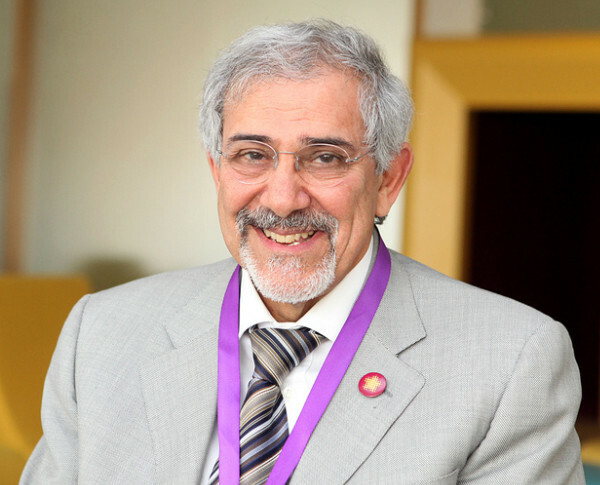 Kuwait has become a role model for charity and humanitarian work worldwide, according to the Chairman of the Kuwait Red Crescent Society (KRCS) Dr. Hilal Al-Sayer , Takreem Special Distinction, as the role of KRCS proved that human values were an important pillar in international relations and rapprochement between peoples. Al-Sayer paid tribute to His Highness Amir Sheikh Sabah Al-Ahmad Al-Jaber Al-Sabah, which helped Kuwait to secure a prominent position globally. "KUWAIT, Sept 8 (KUNA) -- Chairman of the Kuwait Red Crescent Society (KRCS) Dr. Hilal Al-Sayer praised the efforts of Kuwaiti charity work under directives of His Highness Amir Sheikh Sabah Al-Ahmad Al-Jaber Al-Sabah, which helped Kuwait to secure a prominent position globally. This came in Al-Sayer's statement to KUNA on Saturday, marking the fourth anniversary of the UN honoring of His Highness the Amir as a "Humanitarian Leader" and Kuwait as a center of humanitarian action. In recent years, His Highness the Amir showed great ability to address the humanitarian files in Syria, Yemen, Iraq, Somalia, the Rohingya refugees in Bangladesh and other countries, Al-Sayer said. Al-Sayer applauded the diplomacy of His Highness in urging the international community to resolve the humanitarian crises and launching repeated humanitarian appeals in favor of victims. Kuwait has become a role model for charity and humanitarian work worldwide, Al-Sayer said, as the role of KRCS proved that human values were an important pillar in international relations and rapprochement between peoples. The relief assistance provided by KRCS this year reached about 731,207 affected persons in various countries around the world, amounting to USD 10.642,618, Al-Sayer said. KRCS had spared no effort to support the Palestinian people in many fields to alleviate their sufferings, as the society works under the guidance of His Highness the Amir to reach all the needy in all cities of the West Bank and Gaza Strip, he added. KRCS has accompanied the Kuwaiti relief efforts in the Syrian crisis over the past years, Al-Sayer added, praising His Highness's role in supporting all humanitarian efforts at all levels to alleviate the pain of refugees forced to leave their homes. He stressed the importance of charity work in achieving its human values, as the charitable work is a field to achieve goals in upgrading the quality of services provided to those affected by natural or man-made disasters."